An area known by three different names — South China Sea, East Sea and West Philippine Sea — the waters surrounding the Spratly and Paracel Islands are some of the most contested in the world owing largely to the energy reserves believed to lie beneath them. China, Malaysia, Philippines, Taiwan, Vietnam and Brunei all have claims to this area. 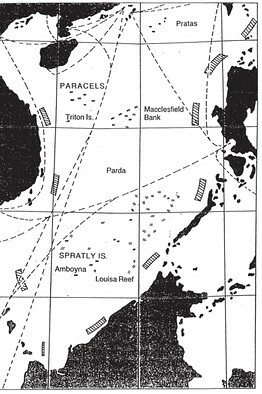 While China has called the area a “core interest” of sovereignty, U.S. Secretary of State Clinton also explained that, “The United States has a national interest in freedom of navigation open access to Asia’s maritime domain.” Competing claims over territory and energy have become a source of international tension and threaten peaceful passage through this waterway. For the parties involved, there is little alternative but to arrive at a negotiate settlement, yet therein lies the challenge — China prefers bilateral negotiations while the other economies of Southeast Asia prefer multilateral discussions through ASEAN. Will resolution be found and how will this conflict unfold in light of the U.S. “strategic pivot” to the region? Please join Patrick Cronin, Senior Advisor and Senior Director of the Asia-Pacific Security Program at the Center for a New American Security (CNAS), Huang Jing, Professor and Director of Center on Asia and Globalization (CAG) at Lee Kuan Yew School of Public Policy (LKYSPP), and Hung Nguyen, Associate Professor of Government Politics and Director of the Asia-Pacific studies minor at George Mason University, for a discussion on the tense territorial disputes and maritime conflicts in the South China Sea. The program will be moderated by Amanda Drury, co-anchor of CNBC’s Street Signs.